When purchasing a smartwatch the important factors to think about are how much of your smartphone purposes can perform with the watch, and how well it can handle each duty and the other factor is obviously the style. So what smartwatch is the best overall watch, best for the price and the best Android Watch? le in two sizes and with a choice of different bands, the Apple Watch (starting at £299) is the most customizable smartwatch yet. Its vibrant colour touch screen is easily viewable, even in direct sunshine. The watch delivers subtle vibrations to your wrist when you get a call, text or some other notification, and a sensor on the Watch's underside can measure your heart rate. The Pebble Time Steel is a great watch if you're looking for longer battery life and a watch that is good for the money.The Pebble Time Steel (starting at £179), which can last up to 10 days on a charge. It also features an intuitive timeline interface and a colour E Ink display that's easy to read in direct sunshine. With the watch you get access to more than 6,000 apps and many watch faces in a comfortable and colourful water-resistant designs. Choose from multiple colours, including black, grey, orange, white and red. The Pebble delivers notifications to your wrist such as for texts, calls and emails it also works with various fitness apps. The Moto 360 2nd Gen is the favourite android smartwatch (starting at £229), this watch improves on the original by making it more luxurious and customizable than ever. Using Moto Maker online, you can design your Moto 360 to fit your style, colouring its stainless steel body as you like and pairing it with leather bands. 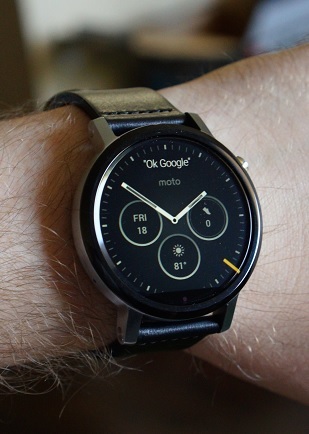 The watch runs Android Wear and will work with iPhones as well by using the Android Wear app for iOS. A unique live dial feature adds functions such as Shazam music identification or car diagnostics to the watch screen while the Moto Body app keeps track of your fitness activity. Research has revealed that gadgets are the new up and coming holiday essential when packing for your family holiday. 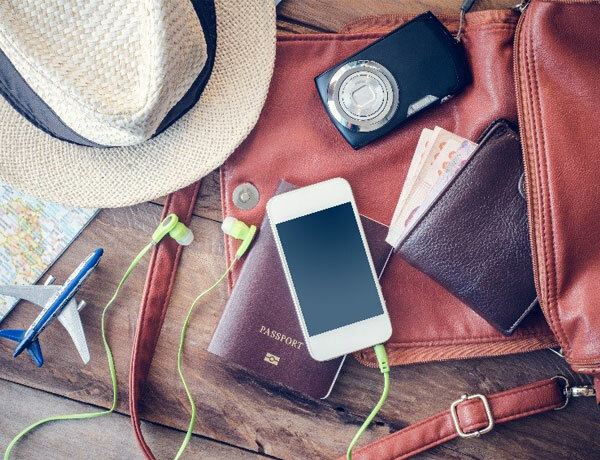 With children under the age of 16 packing up to £466 worth of gadget for their travel it’s no surprise that more gadgets than ever are being lost, stolen or damaged while abroad. 3. Minion Rush – We’re all in love with those despicable minions. Take an adventure dodging obstacles and collecting bananas with your little yellow friends. 4. Minecraft Pocket Edition – Explore the world of blocks and make the world your own, no dream is too big! 5. Temple Run – Perfect for older children and teenagers Temple Run lets the player collect treasure while avoiding the traps. 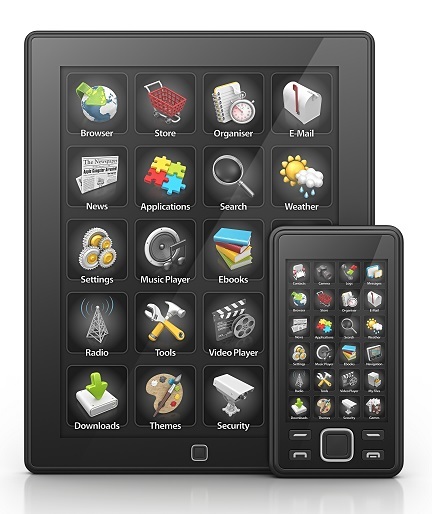 Always download tablet applications from a reputable source such as the Apple Store or the Google Play store, don’t forget to check device permissions before downloading. 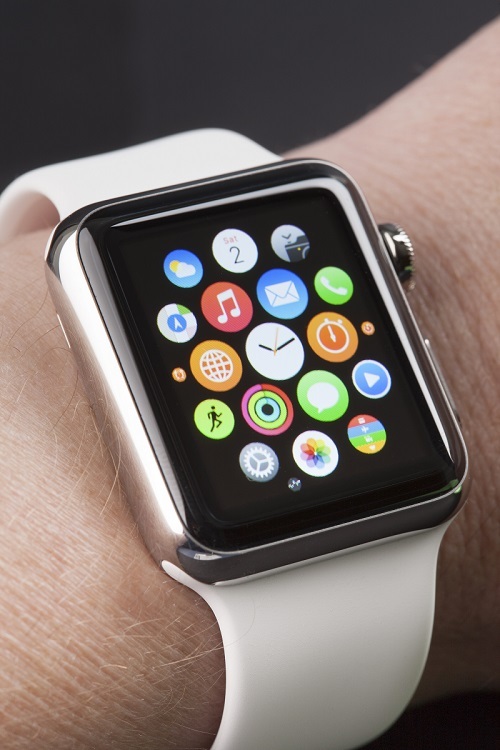 At Questor Insurance we love new technology and are excited by the increase of wearable gadgets and technology now on the market. Technology, just like fashion accessories can be used to display tastes and enhance a style, while giving their technological rewards. Take a look below at our top wearable gadgets which will not only make you look great but keep you up to date with the techy trends. Many companies are introducing multi-purpose USB storage devices, which not only store your data but look great. Some examples which can be found on online stores are pretty necklaces with inbuilt folding out USB devices, cufflinks which double up as USB storage pens and funky bracelets which can be unclasped to reveal a USB storage connector. Fitbit Zip Fitbit produce a number of fitness tracking devices with prices ranging from £39.99 - £99. If you are on a budget but still looking for a great fitness tracking product the Fitbit Zip has a starting price of £39.99. The Fitbit Zip clips on to your clothing and monitors daily steps taken, number of calories burned and the distance you have travelled. Withings have a range of fitness tracking equipment including a selection which look just like a designer watch! The Withings Pulse 0x has a slightly higher price starting at £99.99 and is perfect for those wanting a little bit more when tracking their fitness. The Pulse 0X has ample battery lasting for an average of 2 weeks, counts the number of steps taken, monitors your heart rate, sleep pattern and oxygen levels. The Withings Pulse 0x also uses the collected data to create funky reporting graphs to track your health and fitness. Recon Jet is a pair of glasses specifically designed for sports lovers, giving high quality polaroid sports eyewear with a techy twist. Recon Jet displays non obstructive messages across the colour wide screen display, keeping wearers up to date with their performance stats and smartphone notifications. The device is also packed with extra features and functionality including a HD camera, microphone and GPS. The perfect must have for all serious cyclists, triathletes and runners! Glass up is a fantastic pair of gadget glasses which allows you to control your smartphone apps and gives you real time notifications from your smartphone. Glass Up is easy to connect to any smartphone using a straight forward blue tooth method. 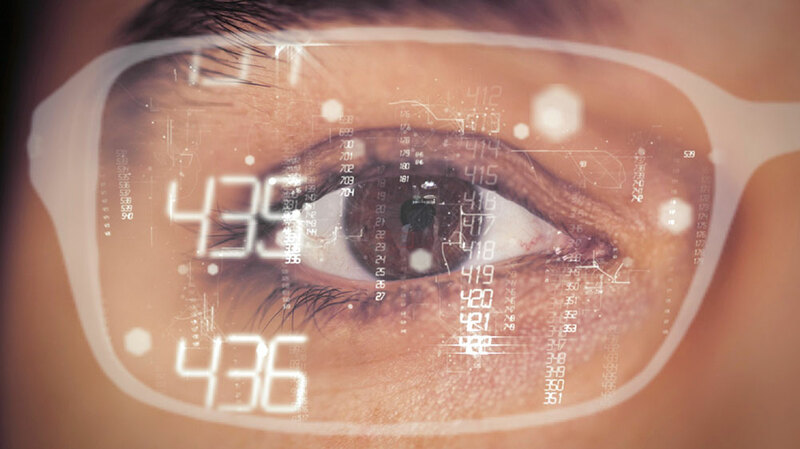 Applications have been developed which integrate directly with Glass Up in the following categories; education, fitness training, sightseeing, games and travelling. With a starting price of £99 the Pebble Smart Watch allows users to receive a range of notifications including call, text, email and Facebook direct from their smartphone. There are also applications which can be installed on the user’s smartphone which will enable the device to monitor sleep, track fitness and customise the screen. Added benefits of the Pebble include having a 7 day battery life, being water resistance and compatible with both Apple and Android handsets. The Samsung Gear S is a stylish smart watch with a starting price of £329. The device allows users to receive notifications and alerts from their smartphone as well as featuring an onscreen keyboard allowing the user to respond to notifications. The Samsung Gear S has the added benefits including applications to aid navigation, create tasks lists and personal fitness monitoring. Ever worry about having to replace your gadgets from accidental damage, theft, loss and Liquid damage? Have peace of mind and make sure your portable gadgets are protected with a Questor Insurance Gadget policy. For more information regarding gadget insurance please click here or call us on 033 323 0090. Gadgets are now integrated in to every part of our daily lives and can leave us inconvenienced and with hefty bills if they are lost or damaged, take a look below at some of our top tips to help you protect your gadgets. Have a password or a secret key on your device so strangers are unable to access your device – Apple have a function which allows users to have all personal data removed from the device after 10 unsuccessful password attempts. When in public keep your gadgets out of sight – there are even cases and sleeves available to purchase which disguise your gadget! There are many apps available to download which can help determine the location of a lost or stolen device. Finally when out and about always keep watch of your gadgets and never leave them being looked after by a stranger. Buy a case or sleeve, there are many which help protect your phone and can give it some personality at the same time. To stop scrapes and chips on the screen don’t forget to purchase a screen protector, there are even screen protectors available for tablets. Top Tip never put your phone in the same pocket as your keys! Do not use your gadgets outside in bad weather. Avoid using gadgets in the bathroom. Place your gadget or phone in a waterproof container or waterproof plastic food bag if it may rain – sealable bags can be especially useful for cyclists or runners. At Questor we understand that sometimes no matter how hard you look after your gadgets sometimes disaster is unavoidable, that’s why we have put together our gadget cover to put your mind at ease. To find out more about our Gadget insurance visit here or contact a member of the team on 0333 323 0090. 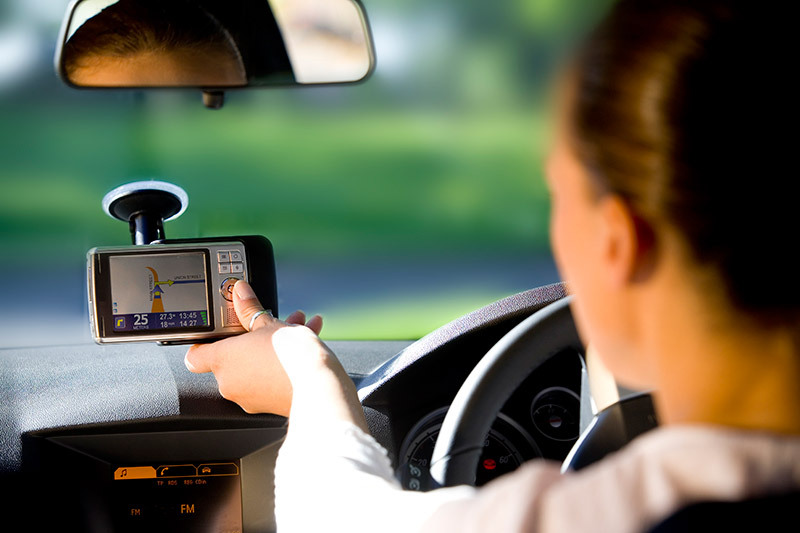 While on your holiday abroad a satnav can be the most useful device you own, allowing you to enjoy your holiday as you navigate the unknown roads to your desired destination. At Questor Insurance we have put together some handy hints and tips on getting the most out of your satnav! Before leaving home update your satnav with the latest map available for your holiday destination. Do not completely rely on a satnav when navigating to your desired destination, it is important to concentrate fully on the roads as they may have changed since the satnav maps where updated (even the newest maps may be slightly different). Before traveling, programme in the postcode of your hotel or a nearby destination so you don’t get lost when traveling back to your accommodation. Do not allow yourself to become distracted by the satnav! The best way to decrease distractions while using a satnav is by reducing other noises such as the radio and use both the screen and sound when navigating. It is important to remember it is illegal to use a satnav to detect speed cameras in all European countries except in the UK and Hungary. If caught using a satnav to detect speed camera’s you may be issued with an on the spot fine. Ensure the destination is spelt correctly in the satnav, its amazing how one letter can make an impact to your arrival destination. Take care when using a mobile phone as a navigation device while abroad. Depending on your mobile network provider data charges may be significantly increased, creating expensive bills for what you may have thought was inside your tariff allowance. For peace of mind always carry an atlas in the car when traveling abroad in case the roads have changed or your satnav fails. Remove the satnav from the vehicle and clean any suction marks on the window screen to reduce the risk of theft. Finally never save your home address in a satnav. In the event of theft of the satnav it is likely the criminal may have access to other possessions such as house or vehicle keys. We would love to hear your satnav stories tweet us at @QuestorIns or drop us a comment on Facebook, in the meantime happy navigating. Whether you simply want to stop children from accessing your Apple gadgets or you are concerned about un-authorised in-app purchases, we have the answers for you! To check it has worked correctly lock your devices screen and then unlock your screen, you should then be prompted to enter your pass code. Open the settings application > Open general > Choose accessibility > Select guided access > Enable guided access and set a passcode. Now open the application you want to lock your device too and push the home button three times prompting the guided access screen to appear. Here you are able to lock down more sections of the application if required, once you have configured all the settings select the start option at the top right of the screen to enable a guided session. Top tip - Make sure you take note of your passcode, as you will require this to gain full access of your device. You will now be prompted to enter a pin to use when amending the restrictions settings, finally turn off in-app purchases. Within the restriction setting you are also able to restrict further applications from being downloaded, block websites or the whole web and even only allow applications with set ratings to be downloaded. 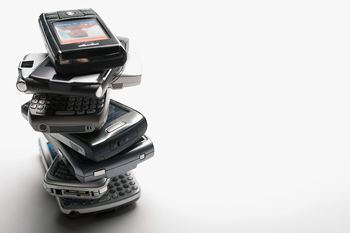 Worried about costly bills replacing your gadgets? Relax knowing your gadgets are protected from accidental damage, theft, water damage and loss with a Questor Insurance Gadget policy. Click here to get a quick quote today or call us on 0333 323 0090 to find out more. App in the Air is your own little personal flight assistant in your pocket. The app provides great updates about your flight, information on your flight status, waiting times and even airport tips. The app is available to download for both Apple and Android users, with a free or premium version. Cities Talking is a great app if you are fairly new to a destination or visiting it for the first time. The app provides a selection of walking guided tours for most European cities. Using your device’s GPS, the app knows where you are, enabling you to travel the city without Wi-Fi or a data connection! Available to download from iTunes and the Google Play store, Expensify is a great app to help you keep track of all your expenses on the go. Using the app, you can cleverly scan all your receipts and summarise your spending at the end of any trip. The perfect app for those of you who love to hire a car on your travels. With Gas Buddy you can take away the stress of having to find the next fuel stop in an unfamiliar area, the app can not only help you find where the next gas stop is, but can help you save money by finding the cheapest fuel. Relatively new to the market and available for free on both Apple and Android devices, Google Trips is a great addition to any traveller’s pocket. Google Trips allows you to bundle reservations, find nearby attractions, customise itineraries and get recommendations based on your search history. Travelling isn’t always stress-free, that is why Stop Breath & Think is such a great travel companion. At Questor Insurance we love the personalisation of the app depending on your mood, recommending mediation to calming walks. If you decide this isn’t the meditation app for you, there are plenty of others to try many offering different features. At Questor Insurance, we can provide cover for your private motor excess insurance policy or for a policy taken out for a hired vehicle. To make sure you are protected on your travels, get in touch today for a quote. How many of us really disconnect while on our travels? Whether it’s quickly checking our emails, mobile banking or catching up on some social media, we all like to stay up to date. Some travellers are blessed with great data plans and never have to connect to a public Wi-Fi while out and about, however others of us find it a blessing to find that next Wi-Fi hotspot. However, have you ever wondered about the risks of using a public Wi-Fi hotspot and how you can minimalise them? The open nature of a public Wi-Fi leaves room for snooping and opens the risk of your details being compromised. The largest risk of using a public Wi-Fi is the ability of a hacker to put themselves between you and your desired connection (this is commonly known as a man in the middle attack). When this happens your details are sent to the hacker who then sends these across to the Wi-Fi hotspot (which you believe you are already sending the information to). In the process your details and any information you have submitted is readily available to the hacker. Less frequently, hackers can distribute malicious software and malware using the Wi-Fi connection. Enable two factor authentication where possible – this adds an extra layer of security to your accounts. 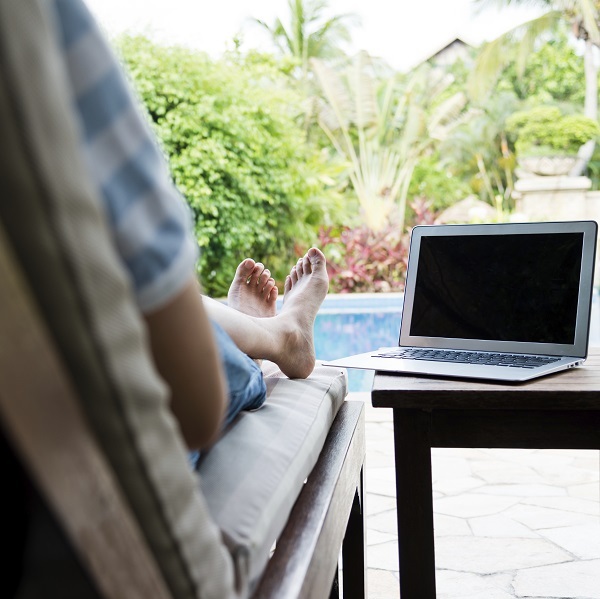 Make sure you can stay connected this summer and protect your gadgets. With a Questor Insurance gadget policy, your gadgets are covered for up to 90 days around the world for loss, theft, accidental damage and liquid damage! Worried about unauthorised usage of your device? We cover unauthorised calls, text and data usage if your device is lost or stolen. Click here for more information on our gadget policy or call us today on 0333 323 0090 to find out more. The daunting wait for luggage at the conveyor belt after your flight is, for some, the worst part of flying. Tracking your luggage may have crossed your mind once or twice before, but thought 'How would I do that?' Well, Trakdot sell very handy luggage trackers for $69.99 (£44.89) each and an extra $20 (£12.83) per year for its network capabilities. You place it inside your luggage and it will monitor mobile networks to determine its location and remembers it. 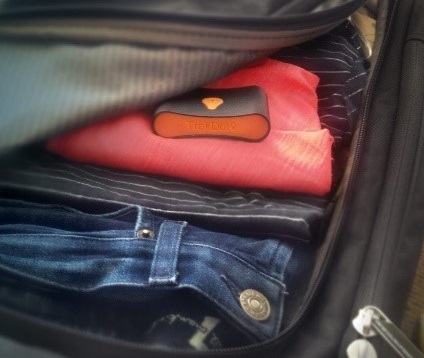 When your plane lands, your Trakdot luggage tracker will send you an email/text message saying everywhere it has been and where it currently is. It is also very light, so you won't have to worry about it disturbing those precious few grams spare in your luggage. When going on holiday, forgetting to bring a plug socket adapter can prove problematic. Solar power is usually an option, unless the weather takes a turn for the worse. dizauL provide small, portable solar power chargers that are waterproof and shockproof for just £12.98, which come with a USB cable so you can easily charge it from the mains before you leave, thereby acting as a spare battery allowing you to charge your mobile on the go. If you are going on your holidays abroad, the tap water usually isn't recommended to be used as drinking water. With BRITA, you can buy a water bottle which contains a water filter inside it so you can fill up at the tap and go. 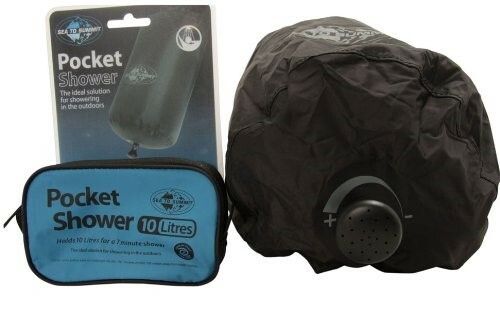 You can get a bottle and 4 filter discs included which should last a week each, all just for £9.29. If solar power isn't your ideal solution to plug socket adapters, this could be. Most mobile devices these days come with USB ports for headphones. With the USB wall charger, you can use your USB cable to charge up your mobile device, and other electronic gadgets. You can get one of these for just £9.99 from TeckNet. If you are going on holiday with your friends or family and want to easily share network connectivity with them in your hotel room, the Apple Airport Express is the device for you. 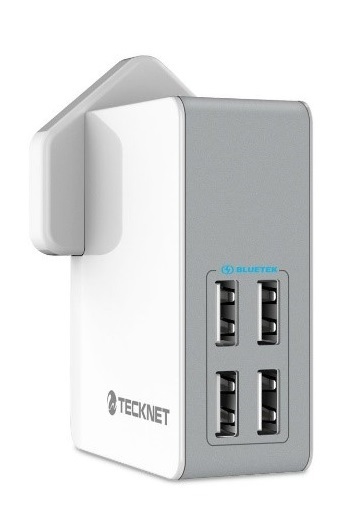 It is a highly portable and easy to use device capable of turning your single cable ethernet connection to a wireless connection for all to use. Just plug your ethernet cable into the device, and plug the device into the ethernet socket and you are good to go! It may be a bit pricy at $99 (£63.31), but it is certainly worth it. 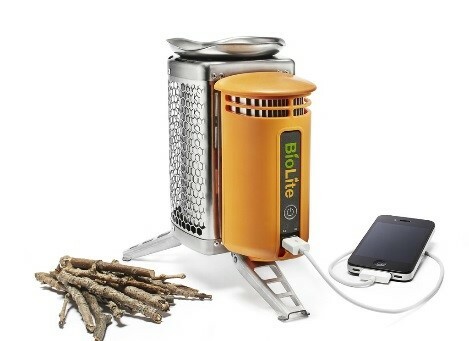 Priced from £124.95 the Bio light camp stove is your perfect camping accessory, allowing you to charge your gadgets, cook and have light all from one small portable device. Rather than having to buy gas canisters the device burns twigs, pinecones and other biomass to create energy from a smokeless flame. Don’t want to waste precious time cooking? Heater Meals have developed self-heating meals, allowing your meal to be ready in 10-12 minutes without having to do any hard work or washing up! The self-heating range include green pepper steak, vegetarian three cheese lasagne, Southwest style chicken with rice and beans and many others to tickle your taste buds. Camping doesn’t mean you have to cut yourself off from the world, there are many methods to keep your phone charged throughout your camping trip suiting all budgets. There are many types of devices designed to charge mobiles, some you have to charge before you leave home and others are solar powered. We advise only choosing a solar powered device if the weather looks promising, no-one wants a wet phone! Camping where there are no showers? The pocket shower is simple to use and can give up to an 8 and a half minute shower – perfect for washing your hair and freshening up! Fill the device with water early in the morning and leave it in the sun to absorb the heat, by the time you are ready for a shower the water will be a comfortable temperature. Don’t ruin your camping trip with a bad night’s sleep and pack a supportive pillow. Our favourite is the Outwell Memory Pillow. It’s light weight, easy to carry and helps give a restful night’s sleep, you will soon be wondering how you lived without one. Always pitch your tent before dark! Always pack a torch and some spare batteries just in case! Have you ever thought of taking your camping adventures to the next level by hiring a motor home or campervan? At Questor Insurance we provide Motor Home and Campervan Hire Excess Insurance, protecting your excess should the unexpected happen. Click here for your quotation or contact us on 0333 323 0090 for more information.